David Mariani CEO and Co-founder Dave Mariani is a Technology executive with 25 years of experience in delivering Big Data, Consumer Internet, Internet advertising and hosted services platforms, creating nearly $600 million of enterprise value. He has created the world’s largest data platforms including a trillion row Hive data warehouse at Klout and the world's largest cube at Yahoo!. Bruno Aziza Chief Marketing Officer Bruno Aziza has a Masters Degree in Economics and was educated in France, the U.K., Germany and the U.S. 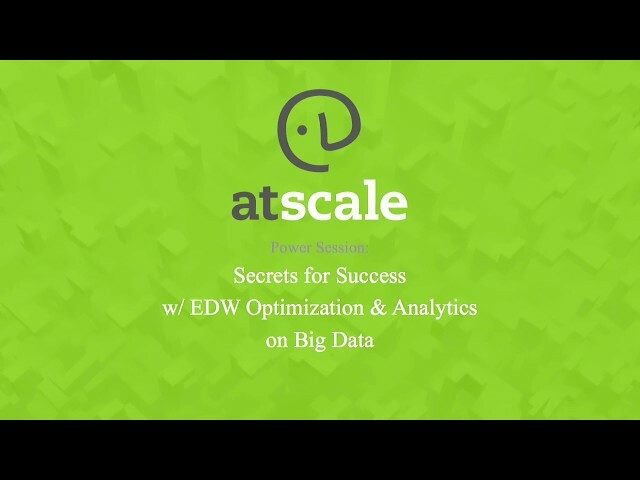 Prior to AtScale, Bruno ran Marketing at Microsoft, SAP/Business Objects and drove the ascension of big data startups like Alpine Data Labs and SiSense.